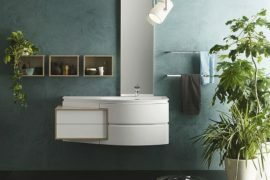 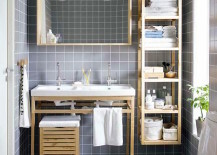 Open storage is a growing bathroom trend that looks great in both small and large spaces. 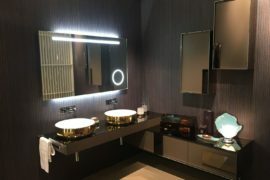 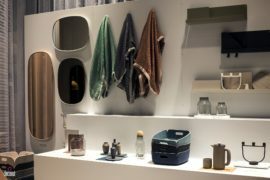 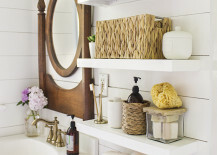 Rather than hiding all of your towels and other accessories behind cabinetry, more bathrooms are starting to make use of open shelving and open vanities that show off these things in style. 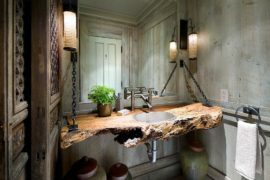 The best part is that there are so many different ways to incorporate this trend into a bathroom, and it doesn’t necessarily always have to require a big renovation. 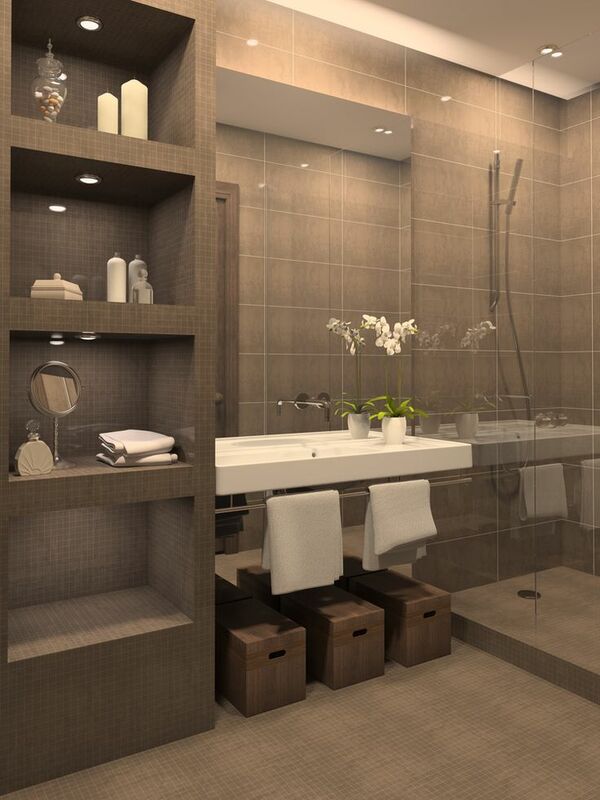 Here are some great ideas to check out. 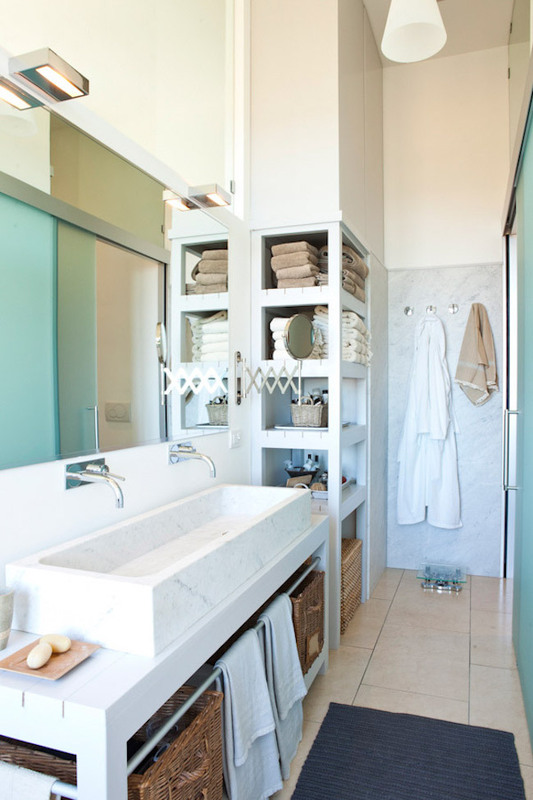 Bathrooms that already have incredible built-in storage spaces certainly are one of a kind. 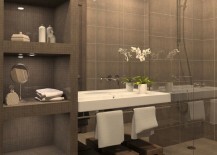 Of course, not everyone has the budget or time for it, but we can still dream! 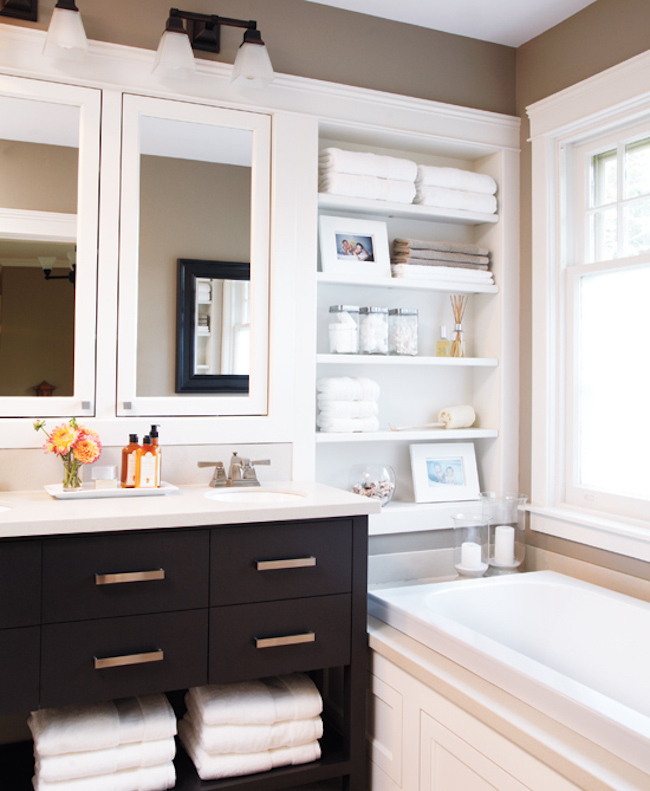 Take a look at this beautiful gray tiled shelving space beside the vanity in this bathroom from DIY Crafts U and this built-in shelf with cabinetry featured on BHG. 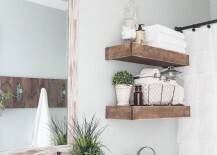 Bathrooms that have a section of a wall that extends out may be able to use it for storage, like this great built-in shelving idea featured on Trendir. 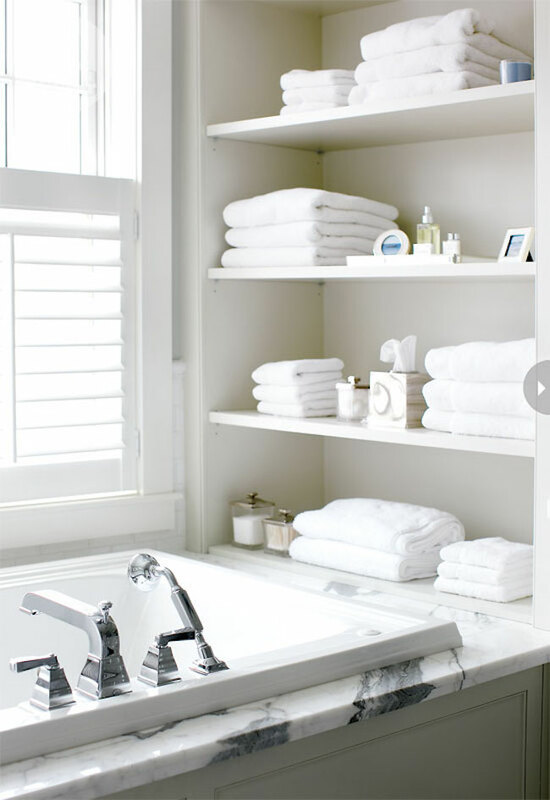 That wall that’s opposite to the bathtub’s faucet can also serve as a stylish and space-saving way to add more storage. 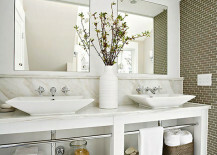 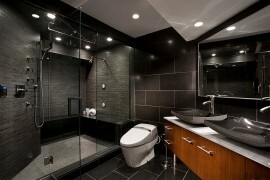 Take a look at these two recessed shelving ideas in these bathrooms both featured on Style at Home. 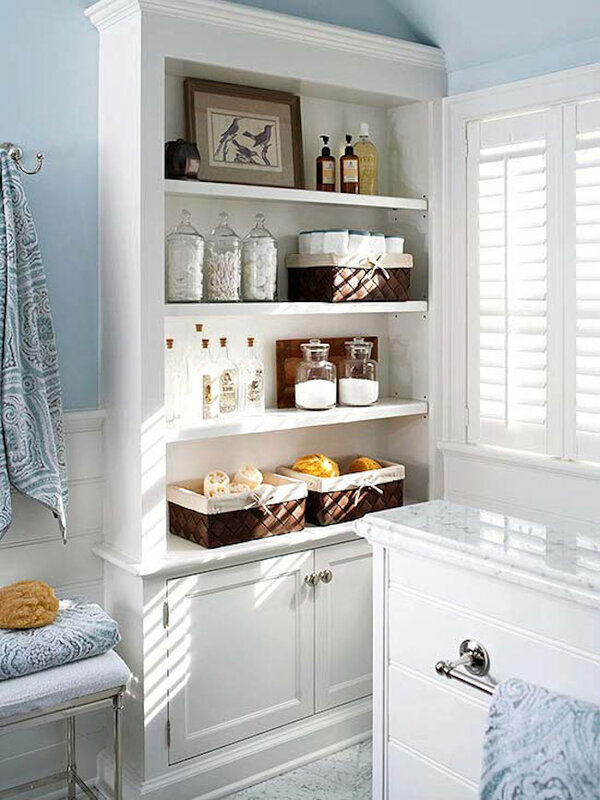 Even small spaces can make the recessed shelving trend work at the end of the bathtub. 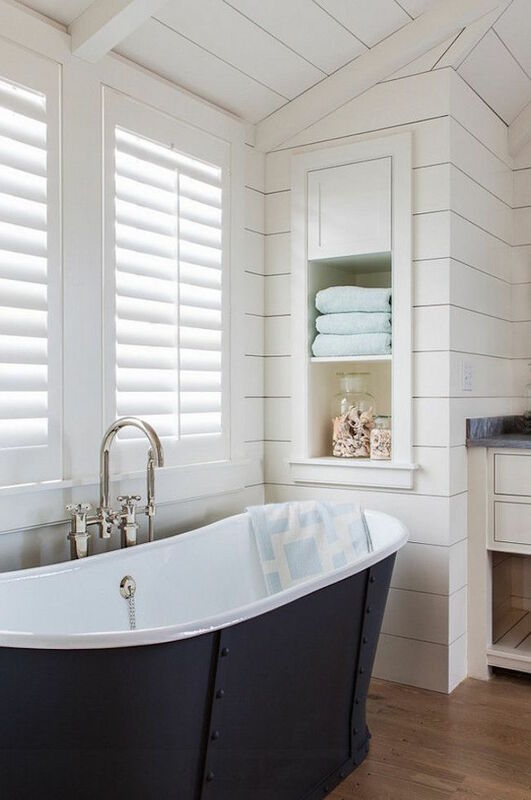 This beautiful bathroom featured on HomeBunch has a space that’s just big enough. 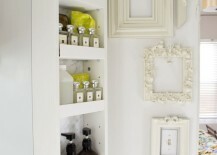 You could even install regular shelves if your walls allow them to create a similar look to the recessed shelving. 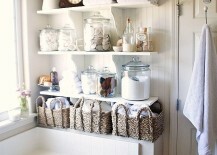 Here’s a great example from BHG. 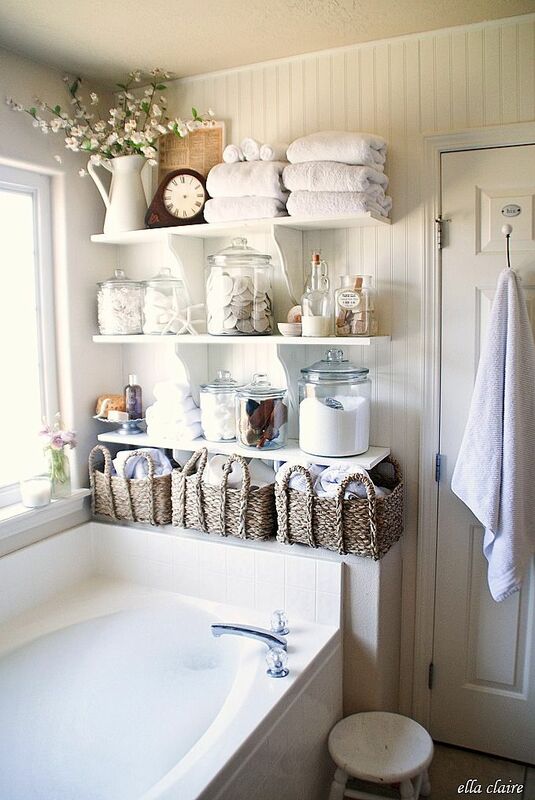 There’s always an open area directly above the toilet that can be used for open storage. 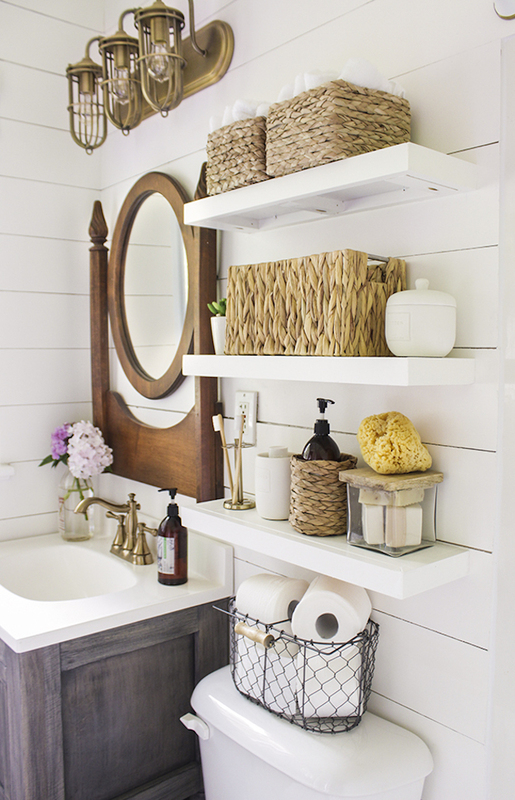 These two country bathrooms featured on HomeTalk and Country Living use simple shelves to make use of that space. 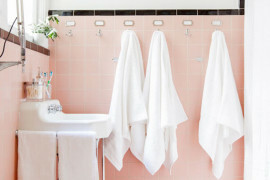 Anyone can get creative with even the smallest and most awkward spaces in bathrooms. 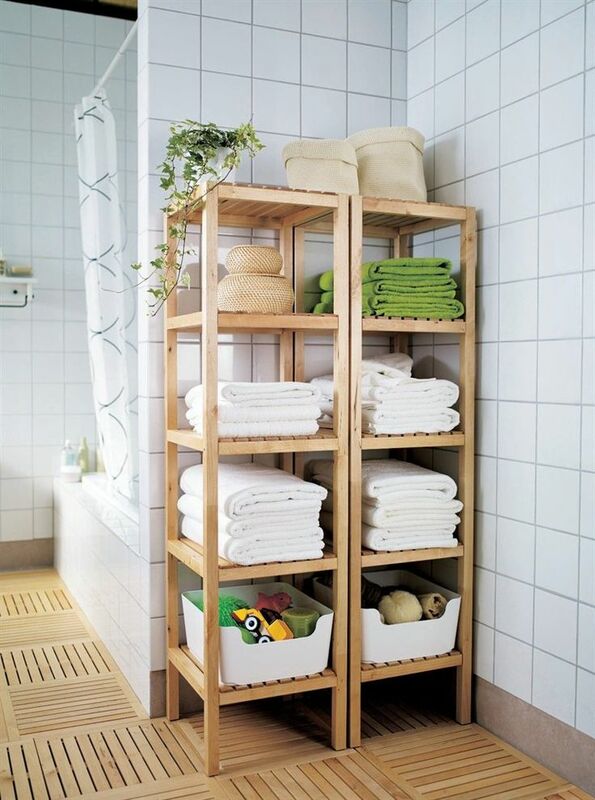 They may not fit much, but they’re better than nothing! 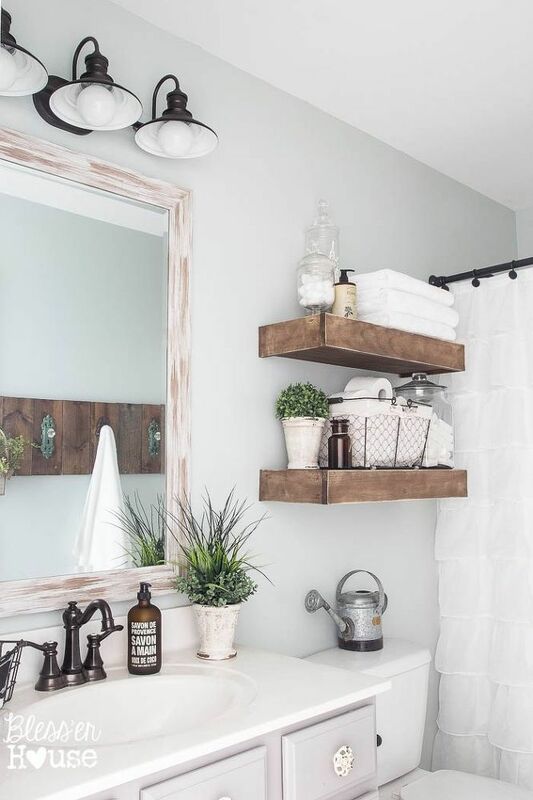 Take a look at this bathroom from Jillian Harris that puts a great little storage area beside the shower beneath the slanted ceiling, and this gray bathroom with just enough room for a narrow shelving unit featured on Decorating Your Small Space. 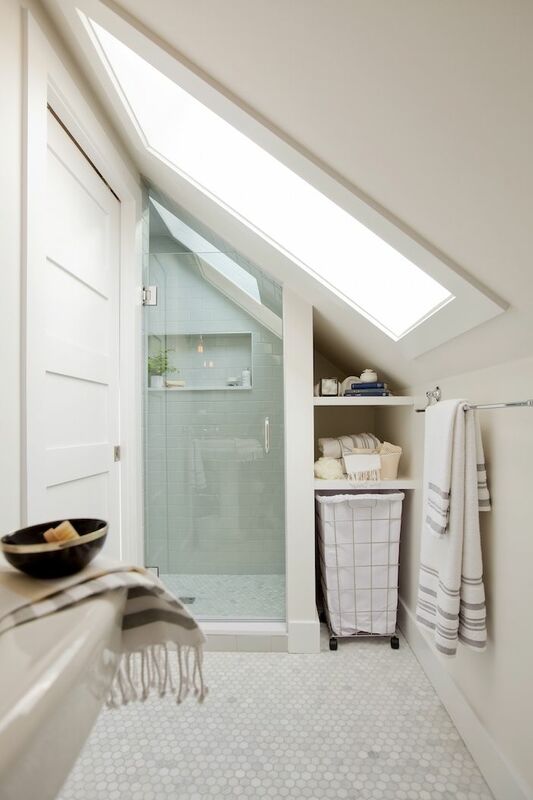 Going back to the recessed shelving beside the bathtub idea, this bathroom from Dust Jacket Attic takes inspiration from it and instead attaches a separate shelving unit to really maximize the use of that wall space. 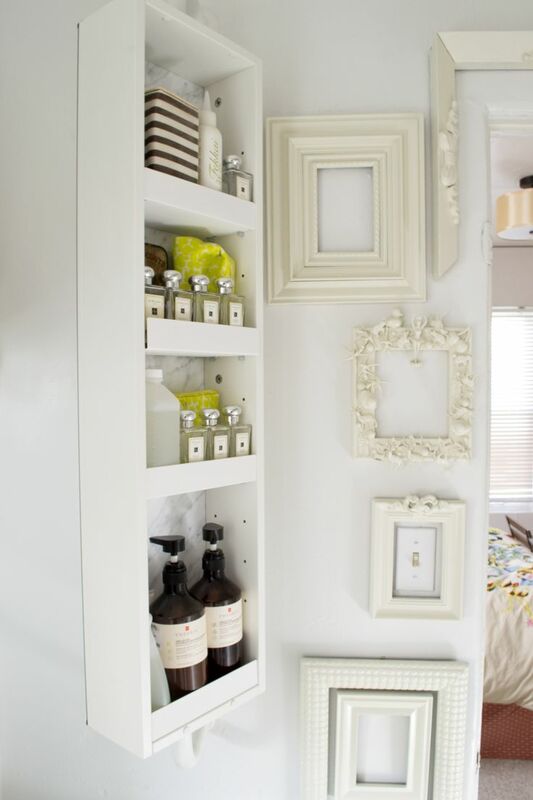 Living in a Nutshell even shows how a very narrow shelving piece can be added to any small strip of wall space. 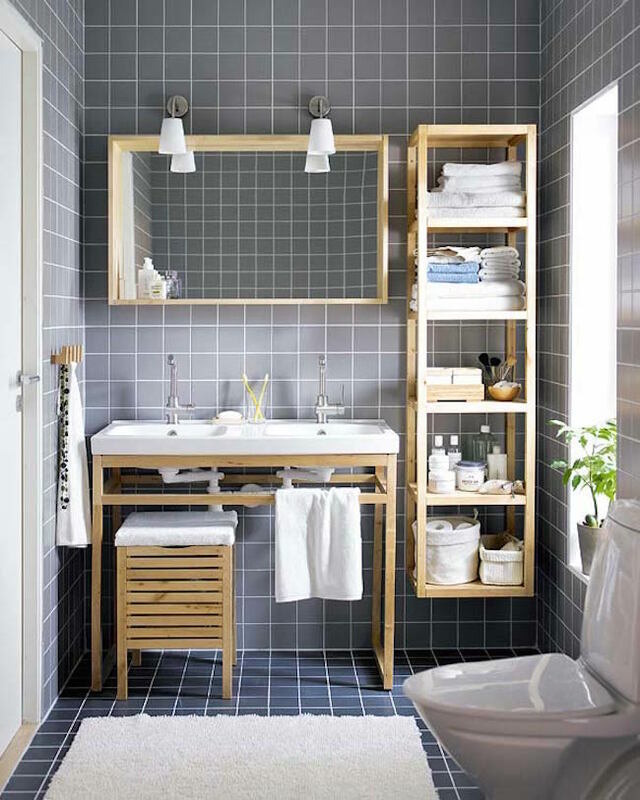 For tiled bathrooms, freestanding shelving pieces like these Molger open closets featured on Pistols Republic can certainly work quite well. 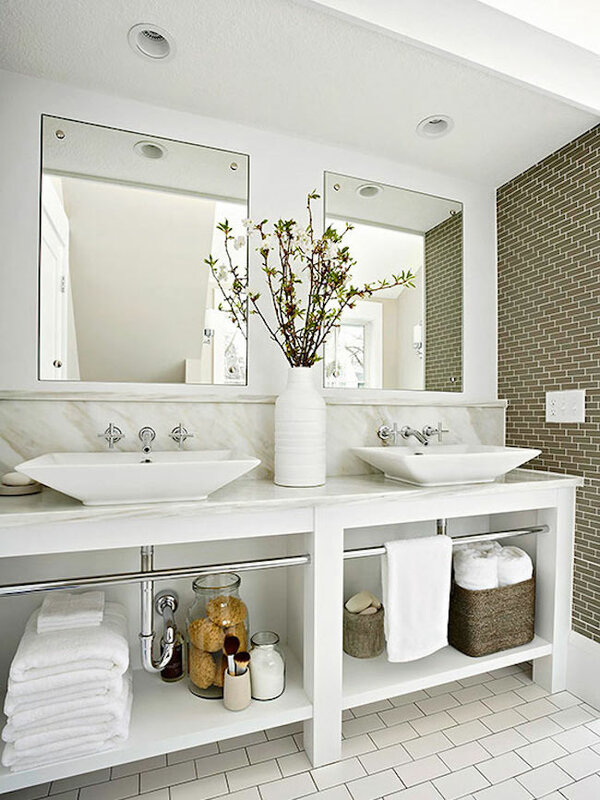 You can add open storage shelving all around your bathroom, but if you’re looking to upgrade your vanity, you might consider getting one with open storage like the one below from BHG, which can help give the whole room the illusion of looking bigger than it really is!